Your industrial magnets need to keep up with the conditions they work in. They need to meet a certain strength standard and maintain that standard in whatever conditions – hot or cold – your application creates. Learn how to measure the magnetic field strength of a permanent magnet so you can verify the ongoing work-readiness of the magnets in your application. The three most common methods for measuring magnetic strength are gauss meters, magnetometers and pull testers. Measure the field of magnetic strength in units of gauss. This is the most common measurement you will find for industrial magnets (although it might not be the most interesting one for your purpose). Depending on your application and comfort with strange measurements, keeping a gauss meter on site (up to $2,000 to buy) could be worthwhile. Measure magnetic strength in gauss or arbitrary units, making comparisons between magnets easy. Come in two types – scalar devices and vector devices. If you want to compare the strength of multiple magnets in your application, to see if one degrades faster than the other, this is a great way to do it. Likely the most practical measurement for most commercial applications. Measure the amount of a weight a magnet can hold. 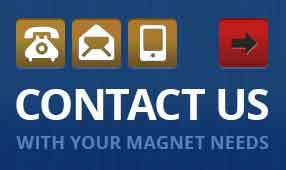 Simple to verify the safety and effectiveness of your magnet in your work conditions. Why bother measuring magnetic field strength? Most managers and owners want to verify magnet strength to maintain safety parameters in the workplace or manage process efficiency. Keep a pull tester on site to make this a quick and easy process to implement as part of the daily or weekly routine, and make sure to test at different times and under different conditions. 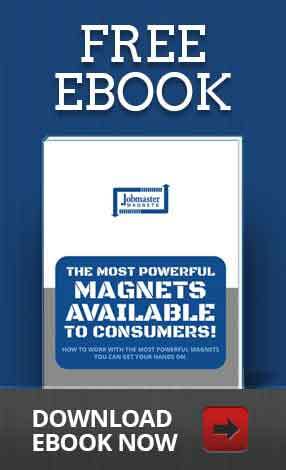 Your magnet may be impacted by a nearby force or environmental factor somewhere in the process, but if you always test at the same time, you might never know magnetic force drops dangerously low at that point in the process. 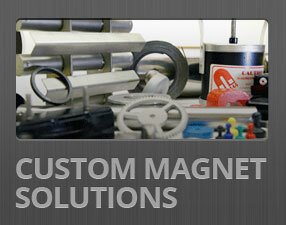 Our team designs and manufactures custom magnets for applications in all kinds of industries. There’s a good chance we have experience crafting custom magnet solutions for businesses just like yours. Get in touch with our team to talk about your application and we’ll create a magnet that will never struggle in your work conditions. You can independently verify it as often as you want!